"In single player, we’ve crafted something that is unlike any other campaign out there, and in multiplayer, we once again deliver gameplay that feels, plays, and looks great." LOS ANGELES--(BUSINESS WIRE)--Respawn Entertainment and Electronic Arts Inc. (NASDAQ:EA) today announced that the highly anticipated Titanfall® 2 is now available in stores worldwide on Xbox One, the all-in-one games and entertainment system from Microsoft, Origin™ for PC, and for the first time in the franchise, the PlayStation®4 computer entertainment system. 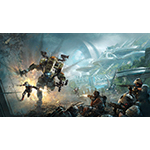 Winner of the Official Game Critics’ Award for Best Online Multiplayer at the Electronic Entertainment Expo (E3) in June, Titanfall 2 builds on the signature Pilot and Titan combat the series is known for and provides a deeper, more robust experience that once again delivers innovative, unique, and exciting gameplay. Titanfall 2 is receiving universal praise from critics around the world, with Giant Bomb giving it a perfect 5 out of 5, calling it “fantastic”, while Game Informer stated Titanfall 2 is a “must play”, on their way to scoring it a 9.5 out of 10. Featuring the first single player campaign in the series’ history, Titanfall 2 delivers a carefully crafted action-adventure experience that provides a vibrant mix of exciting, innovative gameplay that brings fresh ideas and mechanics to the shooter genre. Following a failed Militia assault on the IMC planet of Typhon, Militia rifleman Jack Cooper must team up with BT-7274, a Vanguard-class Titan, to uphold a mission they were never meant to carry out. Over the course of the campaign, Jack and BT-7274 must work together to overcome insurmountable odds, and along the way realize that they are unstoppable together. In multiplayer, Respawn builds on the dynamic Pilot and Titan gameplay to once again deliver an experience that is fast, fluid, and fun. 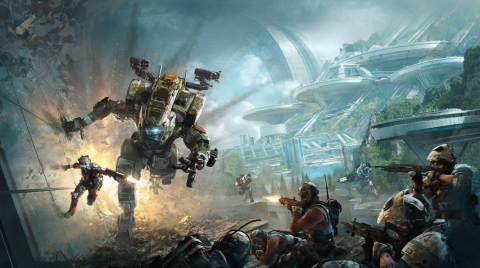 Whether it’s fighting as a Pilot – the agile, mobile, and incredibly deadly apex-predators of the Frontier – or one of six all-new Titans – 20-foot-tall war machines wrapped in armor – Titanfall 2 delivers a deep, robust experience that is unmatched. Titanfall 2 also introduces Networks, an in-game social hub that serves as player’s home base during multiplayer. Making it fast and easy to play with friends both old and new, Networks range from casual to competitive. Each Network will also be able to take advantage of a daily Happy Hour, where each player within that Network gets bonus Merits they can use to unlock in-game items quicker. Following the release of Titanfall 2, all post-launch maps, modes, and weapons will be available for free to all Titanfall 2 players. This all starts on December 2*, when Respawn releases Angel City – the remastered fan favorite map from the original Titanfall.